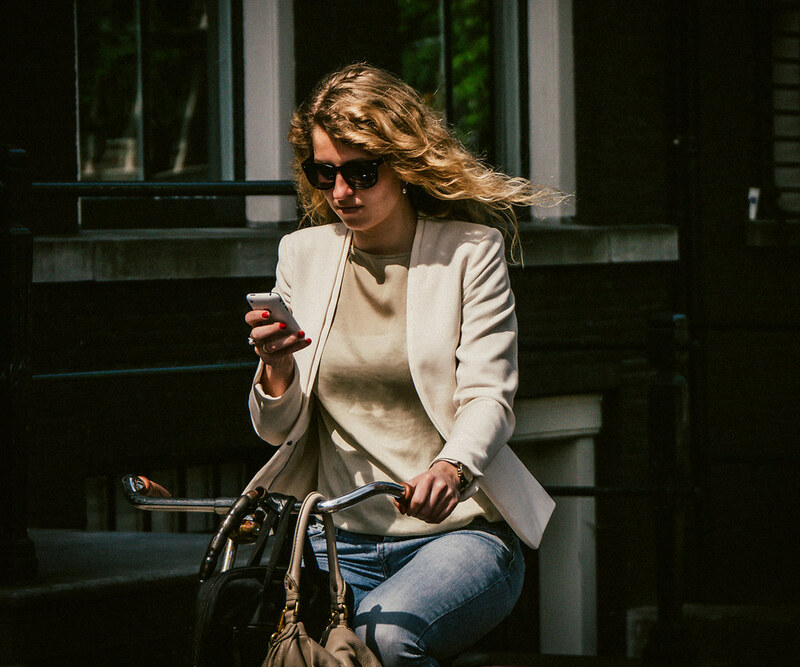 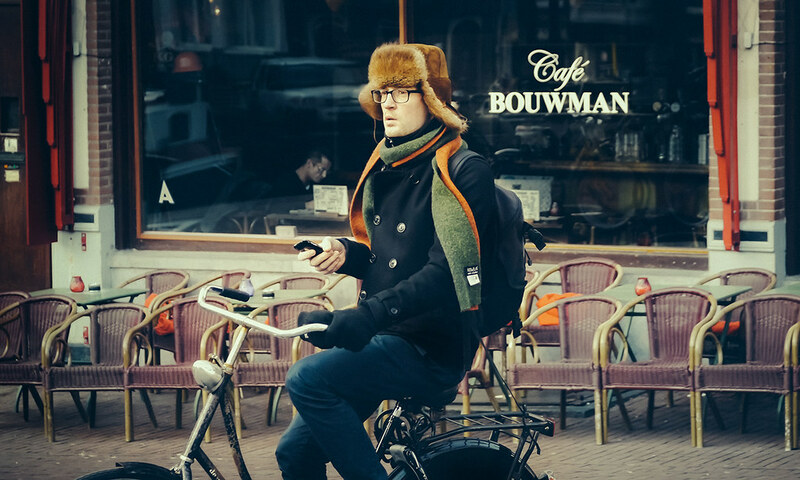 Riding a bicycle in Amsterdam has its advantages, among them is the wonderful opportunity to do it with a phone in hand. 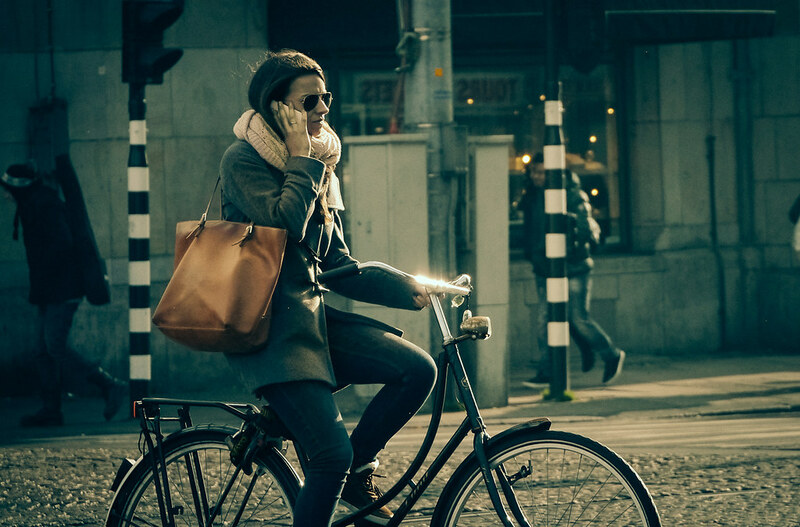 Making a call or texting while riding a bike is ridiculed in some cycling circles as being irresponsible and dangerous. 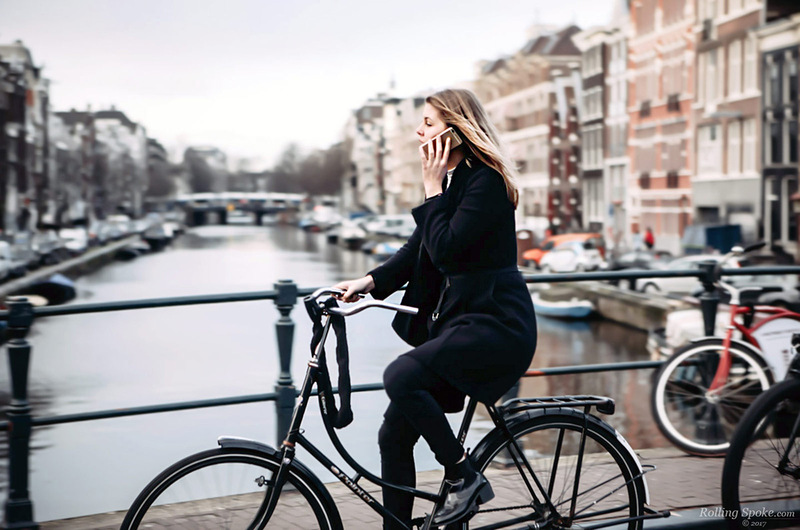 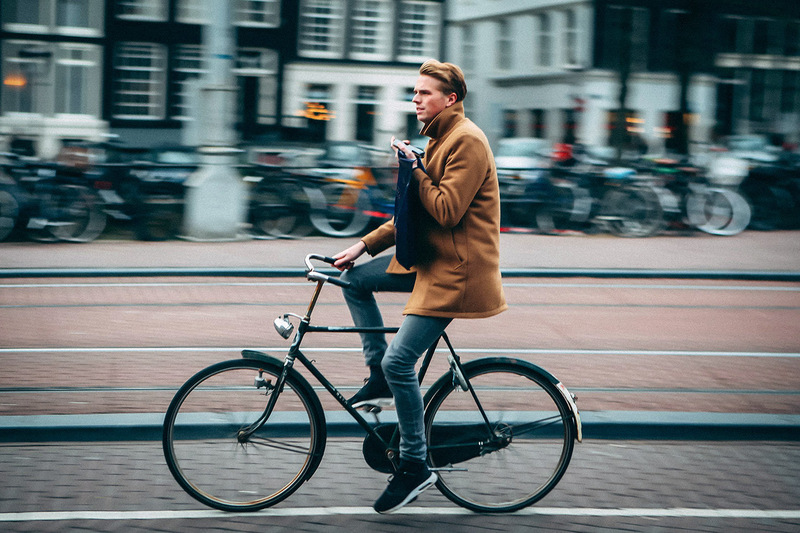 But in Amsterdam, riding with a phone is completely acceptable and it’s about as common as wearing earbuds and headphones. 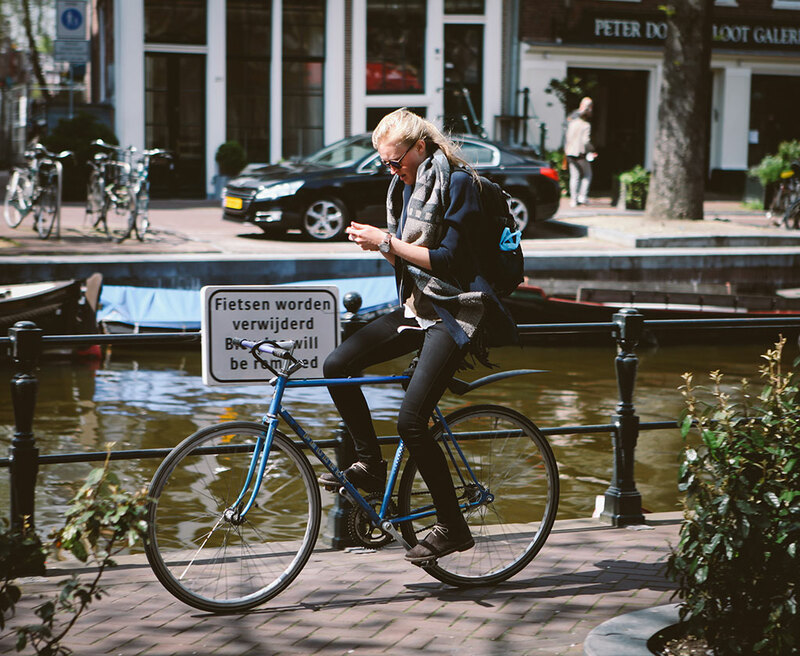 Credit must be given to the infrastructure in helping lay the groundwork of this habit. 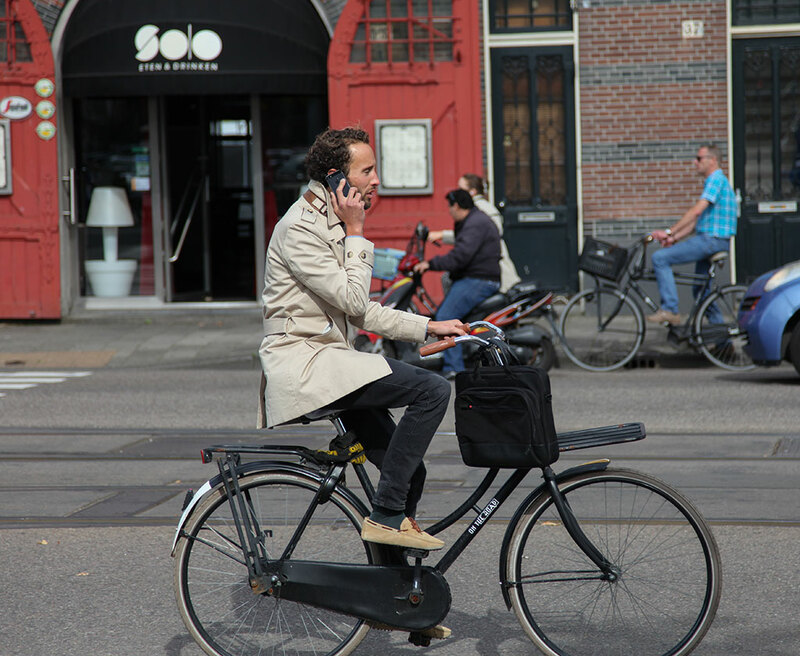 Here are some captures of this undertaking that lends new meaning to going mobile.